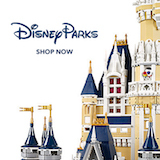 Resort Information - DVCNews.com - The essential Disney Vacation Club resource! "With the Magic Kingdom Park at your doorstep, your new vacation home offers one of the most desired locations in the Walt Disney World Resort. Perhaps in the entire world. It's a place where superb amenities becon inside and fireworks light up the outside sky--where you can enjoy Splash Mountain thrills one minute and relax in your whirlpool tub the next. Soar through the sky on Peter Pan's Flight, the glide 'home' on a short monorail ride. Fully immersed in the Disney magic, Bay Lake Tower at Disney's Contemporary Resort will be your backdrop for decades of memorable moments." Enjoy a spectacular view and world-class dining inspired by a west-coast fusion of American cuisine. Dine with Chef Mickey as he cooks up a bountiful display of delicious dishes for his buffet. Serving breakfast, lunch and dinner, this menu combines sensational dining ideas with fresh, healthful choices and exciting world flavors. Tuck into a hot or cold sandwich, salads and desserts at this quick service location. This area will feature a zero-entry pool with waterslide, a separate whirlpool spa, The Cove Bar, and an interactive children's waterplay area--all overlooking pristine Bay Lake. Towels are provided. Lounge chairs are available on a first-come, first-served basis. Life jackets may be borrowed (free) from nearby location. Enjoy the planned view from the top floor of Bay Lake Tower where Magic Kingdom park and Bay Lake are spread out below. And, at night, it's the perfect place to catch the fireworks. Availability is limited. Note that all pool and restaurant hours are subject to seasonal adjustments. Lifeguard schedules may change in the event of inclement weather.